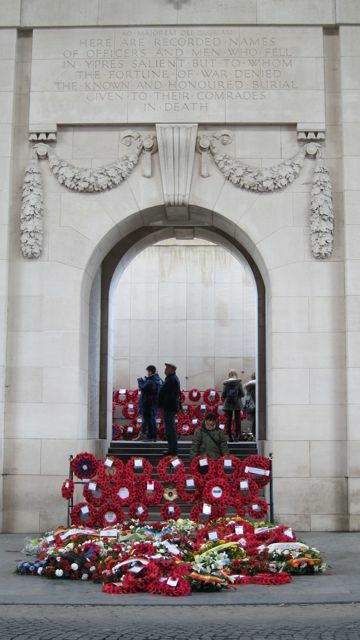 Last weekend I got back from a school trip to Ypres in Belgium. It was a very tiring two days but it was well worth it to explore a different country and culture. 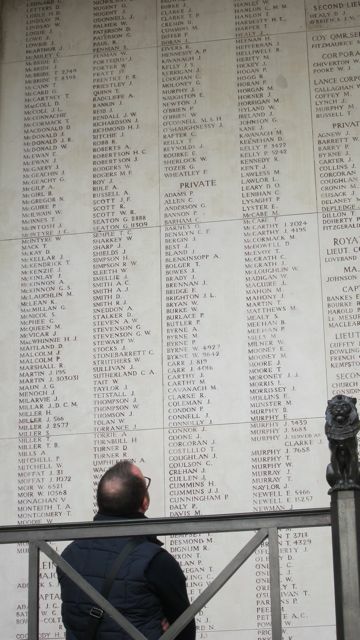 I was there for a history trip to look at the history of Ypres and its importance in WWI. It was a very insightful trip into how the war’s legacy has affected the country. The first trip was to Tyne Cot Cemetery, the largest Commonwealth cemetery in the world. Literally hundreds of graves from British, Canadian, Australian and New Zealand soldiers were there, with different countries marking the graves differently. Hundreds more names were on the walls. The whole area is massive and it truly shows the scale of the fighting and how many people died. Tyne Cot Cemetery, Belgium school trip. 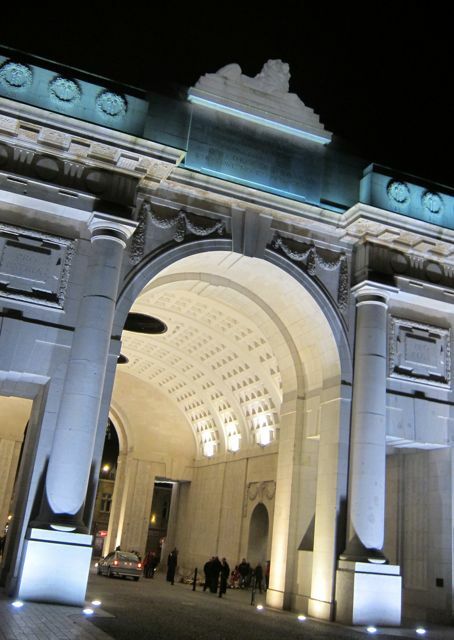 Another highlight of the trip was the gigantic Menin Gate in the centre of Ypres. This was unveiled in 1927 and a daily service of remembrance takes place there every single night. The Gate also has a giant garden of sorts to the side where there are even more names on the side. The inside of the gate is full of names of people who were missing in battle or unidentified after the war. We attended the service (The Last Post) of remembrance and there were hundreds of people there. It’s astonishing how the ceremony has survived since the 20s and it truly shows how much the war affected Belgium. The following day we went to a chocolate shop, so naturally I was eager to get a hold of a lot of it. I got two bags of marzipan, two white chocolate bars (white chocolate is the best, no question) and a bag of marshmallows. Belgium chocolate is out of this world, in fact Belgian food is great all round. I had a pancake and a hot dog for lunch, both of which were excellent. For dinner on the first night I had chicken, which was delicious and very filling. The In Flanders Fields Museum was very informative and engaging. It told the whole story of Belgium’s involvement in the war, from before 1914 to the aftermath. There were hundreds of items from British, French, German and American soldiers and items from the battlefield. There was also an interactive wristband which contained a story about someone linked with the war. The museum is huge and has lots of information and models. In Flanders Fields Museum, Belgium. 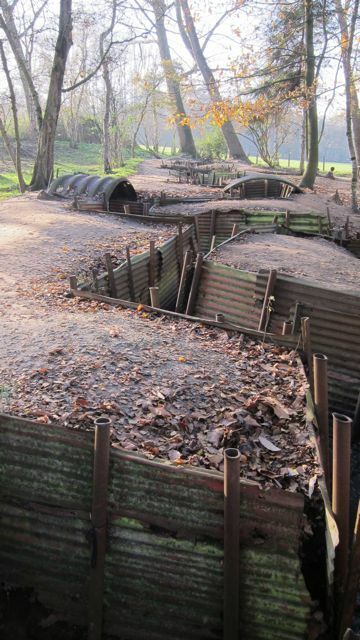 The final part of the trip was exploring a real life trench. It was very muddy but I had good boots so fortunately I didn’t get muddy. It must have been chaotic in the trenches during the fighting, and I’m glad the weather was decent when I walked in the trench! Overall, this was a fantastic trip. I loved visiting Belgium (and a bit of France) and seeing the history behind the war was eye-opening. It improved my awareness of the war, and I’m now more aware of the global impact of the war. While seeing lots of Australian graves, I was reminded of the exhibits which I saw last summer in the Western Australian Museum in Perth. Many Australians died in the war and the graves in Tyne Cot showed respect to them and the whole Commonwealth. I can’t wait for my history trip to Berlin next year. 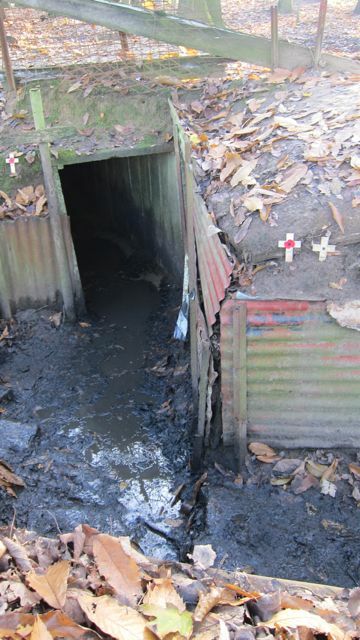 Note: The original post My Belgium history trip – Ypres and chocolate by epicduda was published on 15th March 2016 in Ben Williams’ World blog. WWI was the first time an effort was made to record the names of the fallen. Prior to that one spoke of hundreds of men. The foot soldier had no individuality. It was decided to have no military paraphernalia in the cemeteries. An exception may be the Sword of Honour which is superimposed on the cross of sacrifice. The larger cemeteries have a Stone of Remembrance, rather like a catafalque. Much of the wording “Known Unto God” for instance was provided by Rudyard Kipling who lost his son in the conflict. If a prisoner of war died and could not be repatriated, his headstone was marked by a notch taken from each top corner. The Commonwealth War Graves Commission tries to bury those of the same religion in the same area. I watched this brilliant film a few years ago. This film made me cry. An utterly heartbreaking story. Sublime performance.